People often don’t think about the donkey having to climb the steps with their weight on top of it. Or the fact they do this all day, every day. They don’t get holidays like the one the tourists are on right now. And with 17,000 tourists a day heading to the island, it is a long slog for the donkeys. This has therefore led to saddle sores, exhaustion, and spinal injuries. 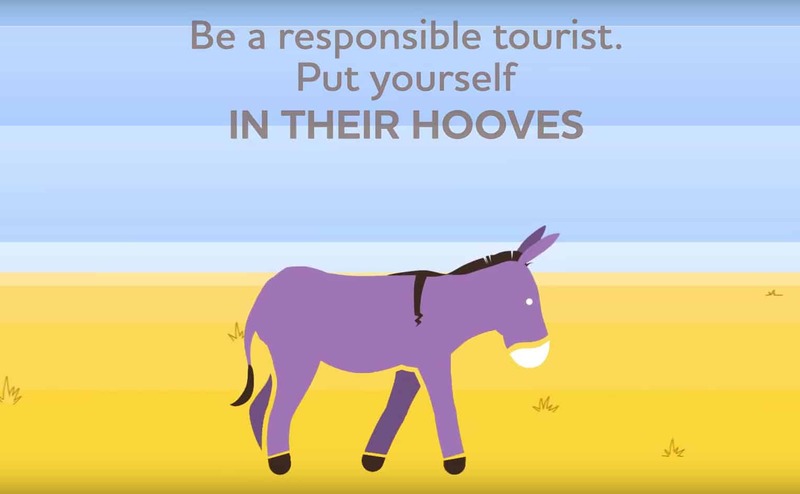 The donkeys are suffering at the hands of over-tourism, and The Donkey Sanctuary is looking to bring the issue to the public’s attention. Do you think the donkeys deserve a break? Just take a moment to think before your donkey rides. Let us know in the comments, and share with your friends and family! Check out similar stories on Happiest.